Zindagi Stevia Powder Sachet is one of the best natural sugar replacement available in India. Stevia powder is the most in-demand form of stevia because it can be very easily used. 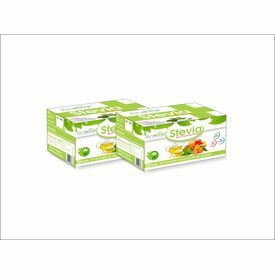 Just open the stevia powder sachet and sprinkle on your tea, coffee, juices, or any other recipe that you want to sweeten in a healthy way. Stevia extract is 300 times sweeter than sugar and it contains zero sugar, zero calorie, zero fat & zero carbs. It is 100% safe for Diabetic patients. You can safely enjoy the sweet things in your daily diet with the help of stevia powder. Since it contains zero calories, it’s very helpful to reduce weight. Stevia is the best replacement of cane sugar. Zindagi Stevia Powder 1 gm is equal to 2 teaspoons of sugar.